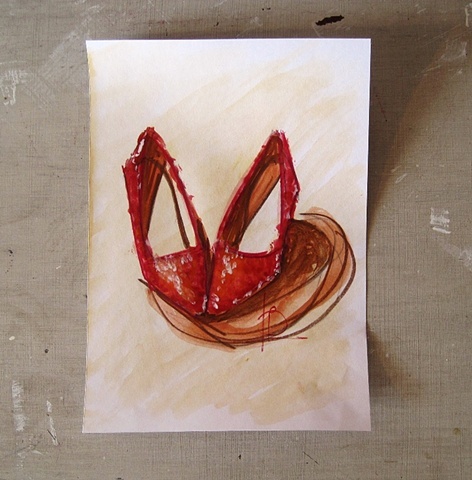 A small colour sketch of red sparkle shoes with their toes together, forming a sort of heart shape. The shoes are a warm crimson red, with white highlights, against a warm pale cream background. They were a colour study for a bigger oil painting.